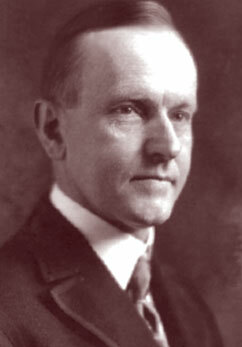 The folks at Acton Institute remind us why Calvin Coolidge is worth renewed study. His selfless and impassioned efforts as a civic educator have survived the most persistent critics. He saw the inherent weakness of socialism and the failure of “Big Government” years before the New Deal and Great Society. Long after those naive experiments have proven empty and destructive, Coolidge’s philosophy demonstrates the resilience of the Founder’s vision for a modern Republic of limited government, maximum individual responsibility and moral leadership. Though he is gone, he still speaks.